Kassandra Elson couldn’t believe she was watching a Grand Canyon University women’s basketball game on Tuesday night. 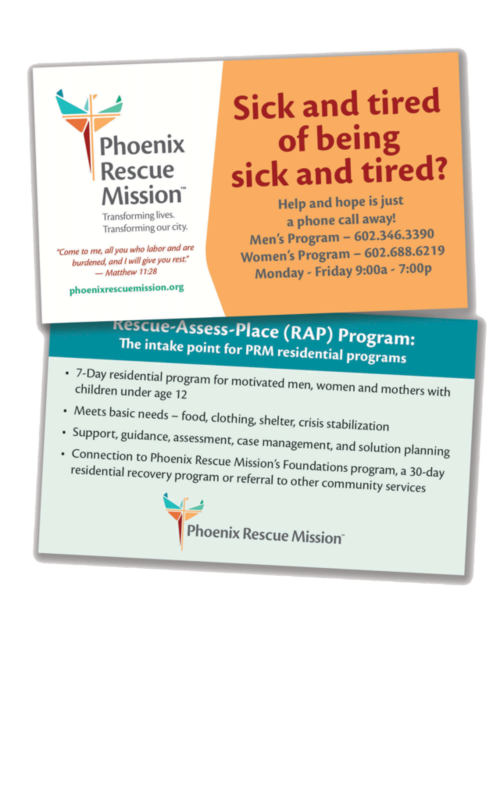 She described her participation in the partnership between the Lopes and the Phoenix Rescue Mission (PRM) as “crazy’’ because less than a year ago she was incarcerated. In her case, the Christian-based PRM is aptly named. From left, PRM residents Kassandra Elson, Katie Diercks, Courtney Kinnear and Holley Kirk surround PRM Donor Events and Engagement Coordinator Nikki Smith (center). Cheering for the Lopes had never been on Elson’s radar. 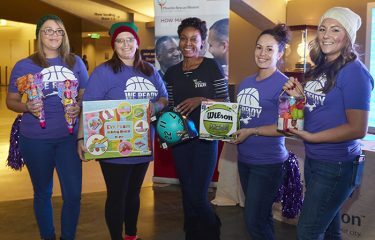 As fans placed toys into the boxes in the lobby of GCU Arena, Elson reflected on her childhood as the oldest of six children in a low-income family. Donations of toys and games will be distributed at the Winter Wonderland on Saturday. 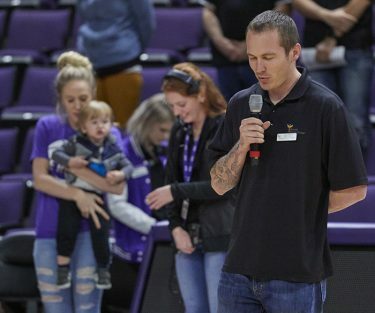 Along with collecting toys, games and household items for PRM’s Winter Wonderland, GCU and PRM were united by Jesse Dalla Riva, who gave a compelling pregame prayer. 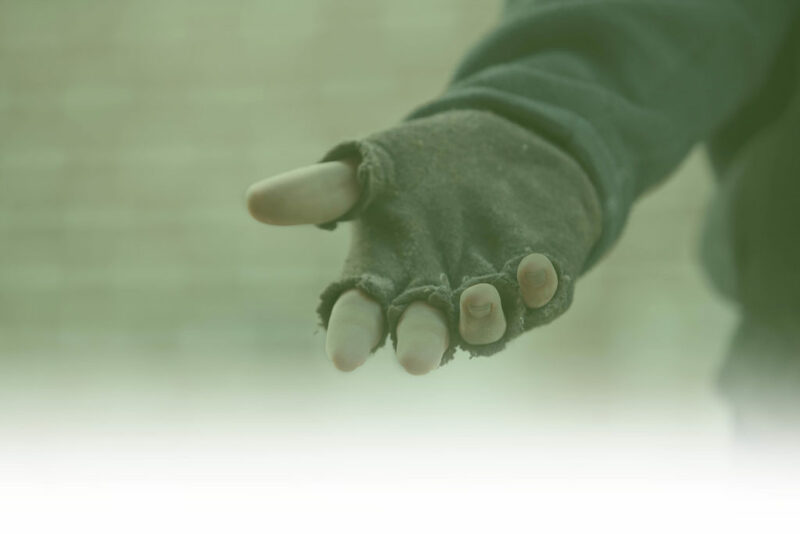 Dalla Riva overcame drug addiction and homelessness through PRM. 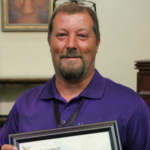 He has worked at PRM full-time the past four years while majoring in counseling with an emphasis in substance abuse addiction at GCU. “I was motivated to give back to the community that I was once part of in that I am addict myself,’’ said Dalla Riva, who plans to graduate in April. Jesse Dalla River offered the pre-game prayer as his wife, Blake, and his son, Jaxson, watched from courtside. 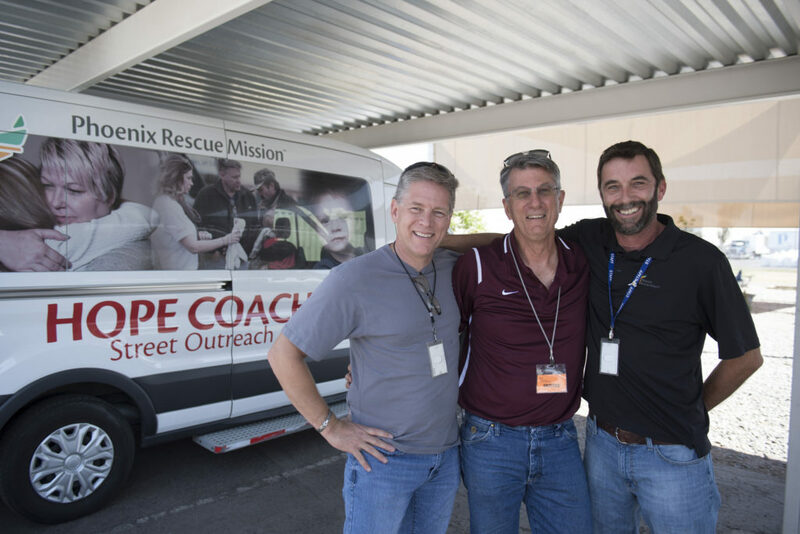 The connection between GCU and the Christian-based PRM was further strengthened by a halftime video that shared PRM’s mission. 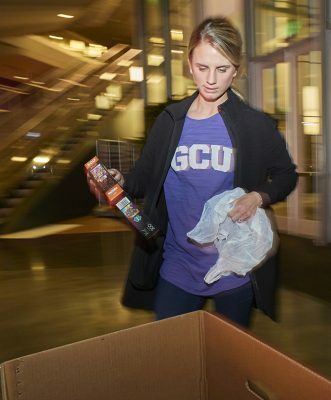 In addition, Nikki Smith, Donor Events and Engagement Coordinator for PRM, urged the GCU community to make donations. 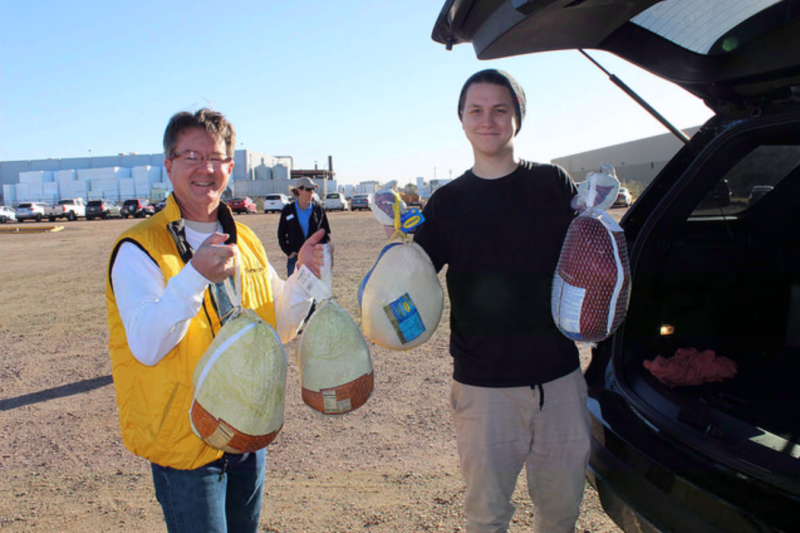 GCU women’s basketball fans Mike Carley and Sue Hunter happily donated toys and dish cloths. 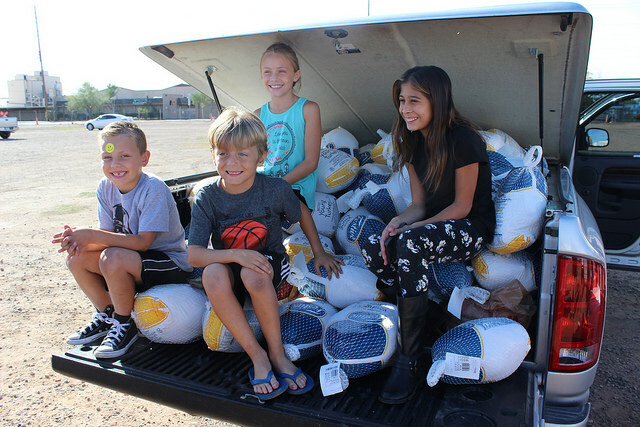 A GCU women’s basketball fan makes a donation for PRM. 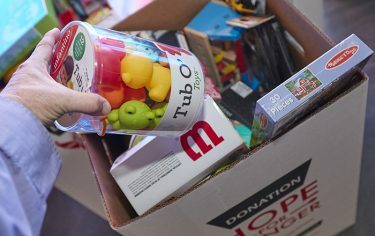 The toys, games and household goods, which will be collected until Thursday, Dec. 13, at Building 71 (contact Sue Boyle) and Building 26 on the main campus, (contact Debbie Accomazzo), will be distributed on Saturday at the Winter Wonderland, where parents can “shop” for their children.